Congratulations to Margaret Middleton, Coral Cornell, Susie Meares, Ngoc Hau (skip), Anne Rands, Tina Hunter, Julie Dunn, Louise Amos (skip) and Meredith Armstrong for a job excellently done. 6 round robin games were played between mid-March and early April against North Sydney, Turramurra and Belrose. Killara won all 6 of them to become the winner of Section 1. 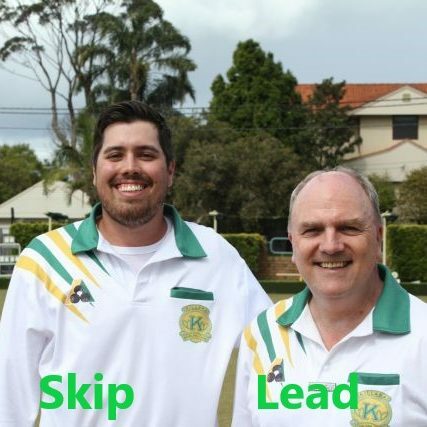 On Tuesday 9 April, the Killara side played against Lindfield Rollers (Section 2 winner) and won convincingly with a score of 70:25 to claim the flag. They will face the Manly-Warringah Grade 3 winner in May to see who will be going to the State Play-Offs. Well done ladies and good luck with the Regional Play Off in May. The April 2019 club newsletter is now available. Another excellent effort and good read. Well done Bob. Click here to open the newsletter, or click on the above image. Enjoy a game of bowls in the cool of the evening, try out the exciting Jack Attack format (2 games of 5 ends) and finish with a sausage sizzle. The perfect end to the day. The January 2019 club is now available. Another excellent effort and good read. Well done Bob. Following on from his good form winning the Zone 9 Rookies Pairs last Saturday, Scott is continuing his success in taking out the Zone 9 Rookies Singles title. After three rounds of sectional games played on Saturday, 20 October, Scott made his way into the semi-finals. The two semi-finals were played on the following day. Scott won his semi-finals match against Michael Auld (Pittwater Memorial) convincingly 17:8. Scott started well in his finals match against another Pittwater Memorial player Pat Eather leading by 14:2. However, his opponent caught up by 3 consecutive 2’s and followed by a single shot to be only 5 behind. Scott steadied himself and dug deep to finally take out the match with a score of 17:11. Congratulations Scott! Congratulations to Richard Hinsley (Lead) and Scott Laffer (Skip) for winning the 2018 Rookie’s Pairs. The match was played under tricky conditions with overcast skies and intermittent showers on Saturday 13 October at Harbord Bowling Club. The pair was playing confident bowling with winning scores of 12.9 over Belrose, 12:10 over Pittwater 2 and a draw 8:8 over Pittwater 1. Victory was secured with a big margin win 19:5 over Mona Vale. They will play other zone winners later this year. Well done! Ngoc Hau (Lead) and Louise Amos (skip) played their way into the semi-finals of the 2018 State Champion of Club Champions Pairs held on 2-5 October at Rosehill Bowling Club. They had a BYE in the first round and played their second round on the morning of 2 October which they won 18:16 over Wiseman Park. They returned the following day to play against St Johns Park whose skip is a Grade 1 Pennant player and won by 21:17. The fourth round took place on the morning of 4 October against Merrylands which was played in challenging conditions with heavy and wet green. Ngoc and Louise were able to adapt to the conditions better and won by a convincing score of 20:5. The weather took a further downward turn in the afternoon when Ngoc and Louise had to play their quarter-finals match against Debbie Kelly and Kim Suckley from Wiseman Park (ex Dapto). It was raining heavily with all players completely soaking wet. However, all 4 players were determined to finish the match and get into the semi-finals. After playing 18 ends, the score was even at 16:16. They had to play an extra end to find a winner, with Killara winning by one shot! The semi-finals match took place on Friday morning, 5 October. Killara was neck-to-neck playing against Bomaberry until the 11th end when the opposition team took 5 shots, followed by 4 shots in the next end. Killara went down in the end and lost their hope of getting into the final. It was a good effort and great achievement playing at a State level competition.